With demand for lithium rising in Europe, but a dearth of local supply, one smart ASX lithium explorer has set up shop there in order to exploit growing local demand. This very tightly held ASX listed company, currently with only 156 million shares tradeable, aims to do this through a wholly owned project in the very safe and stable jurisdiction of Austria. A very important facet of this play is the company’s geographic positioning, which gives it ready access to lithium hungry manufacturing giants – its project is relatively close to planned lithium ion battery plants in Hungary, Poland, Germany and the UK. Europe is the second largest consumer of lithium behind China, consuming 24% of the world’s supply, and this company is well positioned to capture a significant market share. Currently the EU has no internal lithium supply, so if a company could fast track the development of a local lithium project, it would be in the box seat to take a slice of the European lithium pie. This ASX company already has a JORC compliant inferred resource of 3,700,000 tonnes at 1.5%Li 2 O (55,000 tonnes contained lithium) and history is on its side with 17,000 metres of drilling previously completed. It has just raised $6M, begun aggressive exploration and is currently undertaking twin hole drilling and underground channel sampling, which will be completed over the coming weeks, providing an immediate catalyst for this stock. In fact the company is on track to upgrade a JORC Code 2012 compliant measured and indicated resource by the end of October. However, it is still an early stage play and a cautious approach to any investment decision should be considered and professional financial advice sought. €11M has already been spent to date on this project which includes exploration, mine development and a PFS. The previous work will enable the company to examine ways to fast track the development phase of the project. The company has been granted mining leases over 11 mining areas by the Austrian Mining Authority and will soon undertake a Pre-Feasibility Study, with planned production from its lithium spodumene project anticipated in 2019/20. 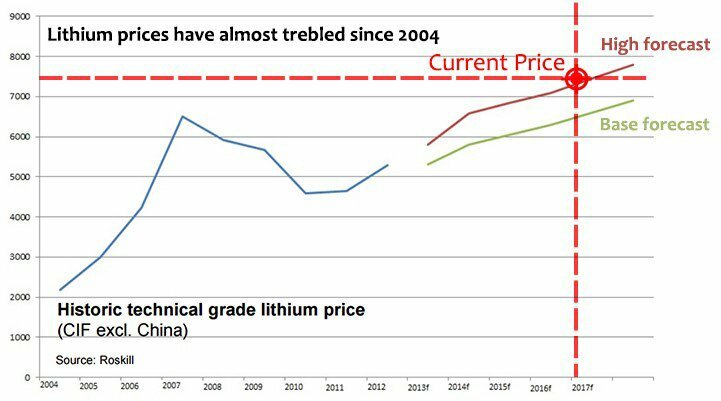 That’s not a long time in the grand scheme of things, and commercial lithium consumers, and indeed investors looking at supply demand mechanics, would do well to keep a keen eye on this company and its local lithium project. 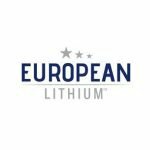 Having established a few important facts about the European lithium mining space and the expected influx of companies looking to take advantage, it is time we delved into European Lithium Limited (ASX: EUR), one of the most promising new players that has just come to market. EUR hits the ASX boards today via a RTO (reverse takeover) of Paynes Find Gold Limited. On completion of the transaction, $6M at $0.08 per share was raised to help fund EUR’s ambitions. EUR has a very tight capital structure thanks to a large portion of the vendor shares held in escrow. Currently only 156 million shares are tradeable on the ASX (43% of the total on issue), so the share price could move quickly on positive announcements. What sets EUR apart from others in the lithium space is the positive points of difference between it and many of its peers that are stretching the bow in terms of purporting to be emerging lithium producers. The most notable difference is its venture into Europe. EUR’s rapidly emerging European lithium story reminds us a little of another European lithium junior, European Metals Holdings Ltd (ASX: EMH) – and regular readers of this website may well have followed this company’s ascent. We first brought readers the EMH story in the article Electric Cars Need This: ASX Junior’s Billion Tonne Potential , well before the herd caught on. Can EUR repeat a similar feat? And the company’s success could all be down to its Wolfsberg Lithium Project. There is plenty of clarity around EUR’s Wolfsberg Lithium Project located in Austria as the state-owned enterprise, Minerex, conducted a full Pre-Feasibility Study in the 1980s. At that stage a resource was declared, mining methods determined and proved by trial mining and a metallurgical process route determined. Consequently, Wolfsberg is a real JORC resource with high grades of 3.7 million tonnes @ 1.5%Li 2 0 at a 0.75%Li 2 0 cut-off and significant exploration upside. It sits in an ideal location with access to essential infrastructure and proximity to industrial hubs, in particular that of Germany, one of the world’s largest motor vehicle manufacturing countries. It is worth noting that until recently batteries for electronic vehicles and hybrids manufactured in Europe have been imported from Asia. However, in February 2015, Samsung SDI acquired Magna Styr’s battery division in Graz, Austria which was making battery packs for German motor manufacturers through the import of cells from Asia. Samsung SDI has recently announced that it will build an EV battery plant in Hungary , near Budapest, only four hours by road from EUR’s Wolfsberg Lithium Project. Given the heightened development of EV vehicles, it is clear electric cars are not just a fad and are here to stay. 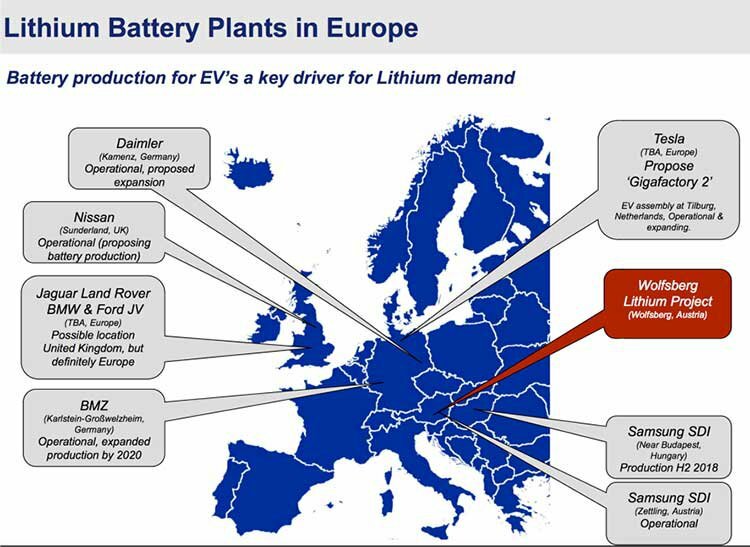 It would seem then, given the number of battery factories about to be built, that Europe is ripe for a lithium explorer, with production ambitions, to come in and corner the market. In terms of proximity to end markets it is also worth bearing in mind that the European market currently requires spodumene concentrate for the glass ceramic industry which is predominantly located in France and Germany, right on EUR’s doorstep. This is where the market dynamics of EUR’s Wolfsberg Project differ from those located in the likes of Canada and Australia. Metallurgical test work undertaken at the project demonstrated that marketable specifications of feldspar, quartz and mica were by-products of producing spodumene concentrate. While there is no local market for use of these by-products in Canada and Australia, they are used extensively in the glass and ceramic manufacturing centres located in Western Europe. With all this talk of gigafactory influence, it is worth taking a brief moment to explore the phenomenon further. 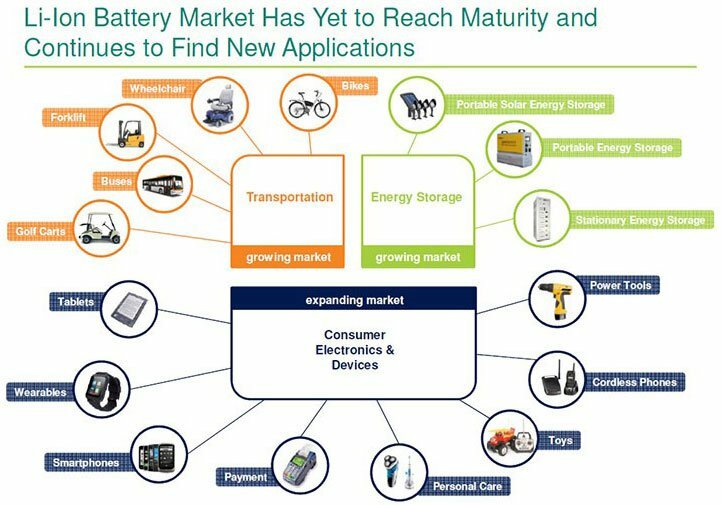 The expected ramp up in the amount of battery plants over the coming years is staggering, with lithium-ion battery output on course to triple before 2020. However, the real buzz is over Tesla’s gigafactories. Navigant Research forecasts EV sales will rise from 2.6 million last year to more than 6 million in 2024. So, whether we like it or not, EVs are coming — and in force. It’s also pretty noteworthy that Nevada Energy is currently trading at $0.14 per share — a 833% premium to its valuation this time last year, having traded as high as $0.20 per share in April — a 1,433% premium. Which brings us back to EUR and its attempt to tap into a new resource in a market that is crying out for a local player. Could EUR be placing itself in a position that sets it up as an early mover for future European lithium supply? What is the resource and where does the exploration upside lie? EUR doesn’t have to hang its hat on random undefined pegmatites, nor does it have to be concerned that its end product will contain contaminants that prevent its applications in the burgeoning energy storage industry. Furthermore, the potential to expand the resource through exploration carries credibility. It isn’t founded on ‘nearology’, regarding a geological trend that sits hundreds of kilometres from the site. The area where exploration will be undertaken in order to expand the resource is part of the Wolfsberg site. The project background is interesting in that all exploration work conducted by Minerex in the 1980s was on the northern limb of an anticline where the pegmatites are open at depth and along strike. It was the belief of the Minerex chief geologist (now an advisor to EUR) that the lithium bearing pegmatites identified on the northern limb continued to the southern limb of the anticline. Test drilling in 2012 proved this and the pegmatites were assessed as lithium bearing. Management believes that it may likely mirror the resource of the northern limb. EUR intends to build on Minerex’s work by verifying its declared resource, reviewing the mining and processing methods in light of modern capabilities and effectively optimising production rates. If more extensive drilling encounters significant deposits of lithium bearing pegmatites it would be a game changer for EUR as it would substantially increase the size of the resource while having little impact on costs given that the ore would be processed through the same plant. However any increase in the size of the resource, and the company’s share price performance, is speculative at this stage. So invest with caution and always consider your own personal circumstances and risk profile before making an investment. In terms of the quality of the resource, only Rio Tinto’s Jadar project in Serbia has appreciably higher grade, but it is dependent on co-production with borates and pricing in that market. Western Australian based AL Maynard led the team of independent consulting geologists who examined historical and current data in order to determine the metrics of the resource as outlined in the prospectus. The group noted that the resource estimate at a cut off of 0.75% lithium dioxide was classified by Mine-it as being measured according to the JORC Code (2004) that was current at the time. In the absence of historical drill core and written data of the time, Maynard and Associates (AM&A) reclassified these resources to Inferred to comply with the JORC Code 2012 for reporting of Exploration Results, Mineral Resources and or Reserves. 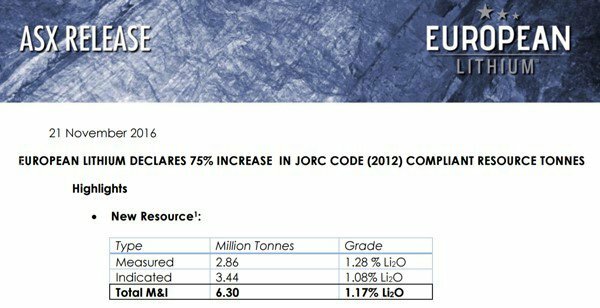 The AM&A resource estimate classified as inferred according to the JORC 2012 Code guidelines is approximately 3.7 million tonnes at 1.5% Li 2 O. This compares favourably with the grades of sub 1.5% at resources delineated by Neometals (Mt Marion), Altura Mining (Pilgangoora), Galaxy Resources (Mt Cattlin) and Pilbara Minerals (Pilgangoora), with the latter two well-known projects having inferred grades of 1.07% and 1.15% respectively – all companies that are capped many multiples of where EUR finds itself today. While the grades at these four projects aren’t as high, the resources are larger as a result of more extensive drilling over a wider area. Consequently, should EUR be able to significantly expand its resource through planned exploration, there would arguably be a larger focus on grade comparisons – a factor that could potentially work in the company’s favour. Having established that EUR’s Wolfsberg asset represents a promising project, it now comes down to execution – which means taking a close look at management’s experience. Dr Steve Kesler is expected to be appointed as Chief Executive and has more than 35 years of experience in the mining sector with both large and small mining companies. Importantly, Kesler has experience in all phases of the mining industry from exploration through to managing operations in multiple commodities, notably uranium, copper, nickel, zinc, coal and iron ore, as well as precious metals. With this background one would expect Kesler has the experience to firstly identify quality projects, but also to transition them from mere rocks in the ground to a valuable end product. Furthermore his experience in business development will be vital in terms of negotiating sale and/or offtake agreements. 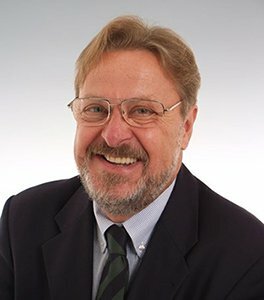 Kesler believes EUR’s Wolfsberg Lithium Project is a high grade lithium deposit that has expansion potential and is well positioned to supply concentrate to the European glass ceramic industry, as well as battery grade lithium carbonate/lithium hydroxide to battery manufacturers in Europe as they develop to meet the requirements for energy storage for vehicles and renewable energy. EUR is shaping up as a story with multiple catalysts that could drive share price re-ratings over the next 6 to 12 months. The company has successfully raised $6 million which will go towards costs associated with the Pre-Feasibility Study (PFS), mine design and environmental studies. The money is an important issue in terms of funding the project through to the important PFS stage. One of the early priorities in terms of working towards the PFS will be verification of the Minerex data which will involve a program of twin hole drilling and underground channel sampling. This is currently underway and will be completed by the end of September. Confirmation of Minerex’s data would provide increased confidence in progressing through ensuing stages. EUR management is looking to upgrade a JORC Code 2012 compliant measured and indicated resource by the end of October, utilising original primary Minerex data after verification together with drilling results completed in September. The company will then proceed to undertake a surface drilling program on the northern limb of the anticline to prove the extension of resource to depth and on the southern side of the anticline to confirm the extension of the resource and to bring both into the resource inventory. EUR’s aim is to complete the drilling program by January 2016 and declare an increased resource in first quarter 2017. This milestone would be significant in terms of asset valuation, scope for expansion and potential funding options as the company moves through the various stages to the construction of infrastructure. Whilst drilling is ongoing, management will undertake a metallurgical test work program with Dorfner Anzaplan (a leading research centre in Germany) in order to optimise the processing route to concentrate. In particular, this will assess sensor-based sorting to minimise waste dilution going to processing and dense media separation (DMS), providing an early coarse spodumene concentrate. Spodumene concentrate produced by the Dorfner Anzapan pilot plant will then be studied for conversion to lithium carbonate and hydroxide for battery use. Taking this initiative will potentially allow early production of a DMS concentrate for sale to the European glass ceramic industry whilst the full concentrator and conversion plant is in construction. This test work will also target the production of saleable by-products, which could reduce the net cost of lithium production to be comparable to that of production from brines. EUR’s focus on developing a multifaceted development plan is evident in its strategy right down to the conduct of marketing studies between September and December that will position EUR to commence the distribution of by-products at an early stage. How there is no guarantee that EUR will enter production, and this article alone should not be the foundation of any investment decision in this stock. Take all information into account and seek professional financial advice for professional guidance. EUR will also be undertaking marketing initiatives in relation to identifying offtake agreements for battery and technical grade lithium carbonate and hydroxide in order for this to be completed in tandem with the finalisation of the prefeasibility study. Leading up to completion of the PFS, a consultant will be engaged to integrate the various technical studies and develop engineering, capital and operating costs with a view to completing these procedures by mid-2017. Environmental baseline studies will commence at mine site on completion of funding and continue for a full year as required by environmental agencies. This should position EUR in such a way that the permitting process is unlikely to place undue time restraints on the transition to plant construction.